We have bad news for shellfish lovers. 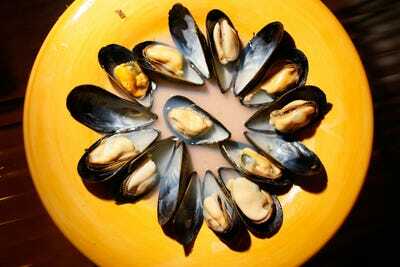 According to a new study published by University of Chicago biologists, Pacific mussel shells are getting thinner and thinner. Researchers compared the shells of live mussels pulled from the Pacific ocean with shells that are thousands of years old. The historical shells are on average 27% thicker than the modern ones. Shells remained thick until the 1970s, when they were 32% thicker than they are today. Then things began to thin out. The cause for the thinning shells is the most alarming: the Pacific Ocean is rapidly growing more acidic due to the carbon dioxide humans are pumping into the air. When carbon dioxide dissolves in seawater, it produces acid. Since the start of the industrial revolution, the acidity of the ocean has increased by 30%. So basically, Pacific mussels are dissolving in an acid bath. As the ocean continues to acidify, researchers fear that the fate of the shellfish is grim.